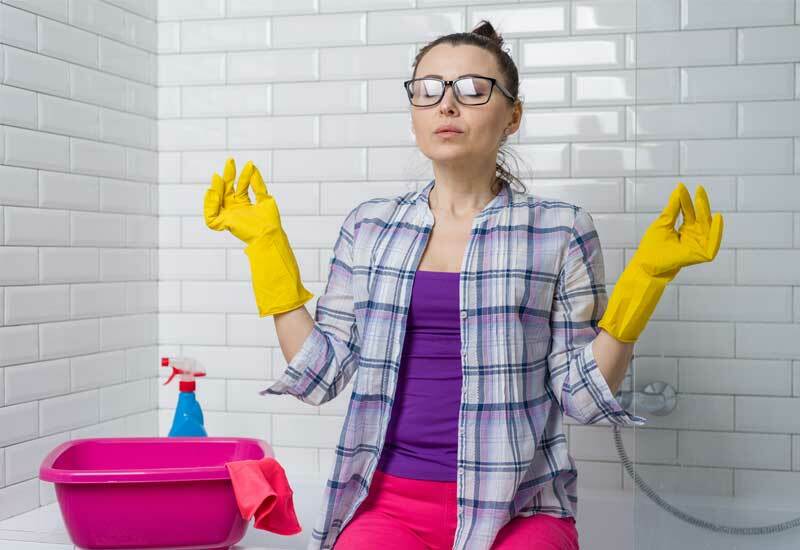 It’s no secret that many of us dislike cleaning the bathroom, in fact for many of us it’s our worst chore. 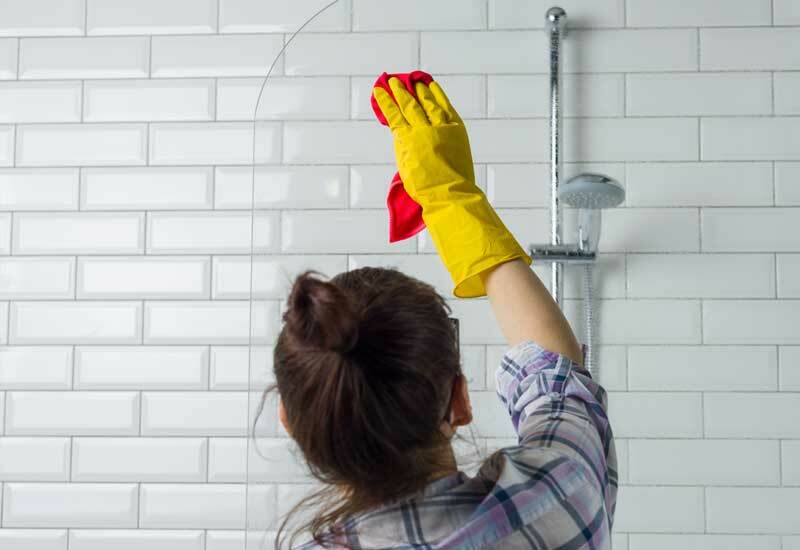 Scrubbing the bathroom tiles and getting rid of dirt and grime are low on the list of house chores especially on your weekends and free time. Trust us, you are no different from other homeowners who want to maintain a pristine bathroom but find it difficult to actually do a thorough clean regularly. To keep the bathroom sink looking brand new, take time to address hard water stains that leave unsightly mineral deposits when not removed immediately. Every time you use the sink, and see toothpaste splatters, and water marks, make it a point to wipe them away using disinfecting cleaning wipes. Waiting for the weekend to do a one-off clean of the sink will give the water marks a chance to become dry, which will make it even harder for you to remove them. Since the bathroom sink is frequently used, you want to make sure that you keep a stash of cleaning wipes on the bathroom cabinet or under the sink for easy access. Removing light spots from the sink will take you around 10 minutes. However, getting into minute details of removing hard stains may take longer and it may be better to leave the task to professional cleaners who are experienced in doing a thorough cleaning of the bathroom and who are experts in completing this task within a stipulated time. Shower curtain or glass shower doors in the bathroom are a place that is always damp and warm. Additionally, it is situated among body oils, soap scum, and bacteria. Because of the water that collects when showering, it is the perfect place for mildew and mold to grow. When cleaning a shower curtain or glass windows, you have to be careful not to use harsh chemicals that can cause damage. Go for eco-friendly solution that will effectively remove mildew and mold without damaging your shower. You also need to be careful to not use harsh scrubbing equipment that could cause scratching to the glass or damage to the curtain. Allow the solution to set for a few minutes before wiping heavily soiled areas using a damp sponge. Place the shower curtain in the washing machine on a gentle cycle to remove soap scum. Make sure to add two towels that are light colored to help scrub the curtain while in the washing machine, and add in your usual laundry detergent. The steps outlined above may take at least 15 minutes to complete. But it may take longer if the curtains have not been maintained properly. If you find that cleaning this part of the bathroom on a regular basis takes away time from other important house chores, consider hiring professional bathroom cleaners who can come on a weekly basis to ensure that the shower curtains and mats are rid of mold buildup regularly. With multiple family members using the bathroom everyday, it can be difficult to keep up with your kids tossing clothes and dirty towels on areas where they should not be lingering around. When your children have left for school, and your spouse has driven off to work, that is the only time you will get the chance to place stray clothing in the laundry and do a quick sweep of the bathroom floor. Keep the vacuum cleaner close by allows you to quickly remove dust and dirt that has built up and you can also try spraying our vinegar solution that we discussed early onto the glass, shower curtain and tiles and then come back in 30 minutes or so and wiping it clean. That will help you to keep your bathroom fresh on a regular basis with minimal effort. In addition to dirt, dust, and pile of dirty towels in the bathroom. One more thing you have to deal with is cleaning hair off the floor. It is natural for humans to shed at least 100 hair strands each day, so you can only imagine how much hair you have to remove if you don’t do a regular cleaning of the bathroom. Of course, picking up all those hairs by hand is not option, and using a vacuum may not always be convenient. Using a sticky roller to clean hair off the floor can be highly effective. Just make sure to rinse it after every use to improve the longevity of the tool and allow it to remain sticky for many years. Organizing items in your bathroom starts with a good purge. Get rid of unused items and opt for small packaging rather than bulky ones. The tips highlighted here are ideal for homeowners who want to maintain a sparkling clean bathroom without spending too much time on cleaning tasks every day. We made sure to include only the daily habits that take anywhere from 10 to 15 minutes to complete, because we understand that a detail cleaning of the bathroom just doesn’t fit into a busy family life. No one will blame you for seeking professional cleaners to help with the cleaning of the bathroom, so do not hesitate to book a cleaner through our site if you find that bathroom cleaning is proving to be an overwhelming task due to your hectic schedule. At Pristine Home, we provide a comprehensive bathroom cleaning service in Sydney that is designed to thoroughly disinfect areas that require a more detailed cleaning, including the toilet, the shower surround, fixtures, and tub, just to name a few. We ensure transparency when dealing with our clients, which is why we display an instant quote for your chosen service when you book a cleaning appointment through our site. 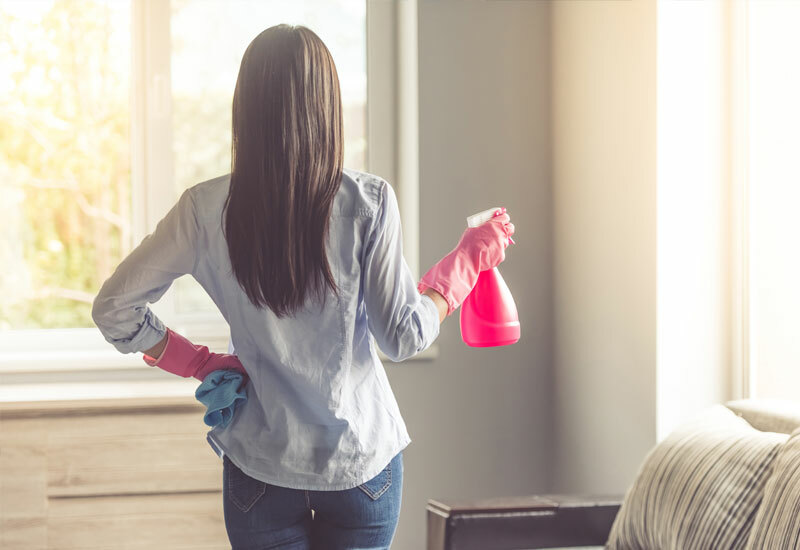 Simply take 60 seconds of your time and enter in your postcode and you’ll know exactly how much it will cost to have a home cleaner help you.